Prabukumar's mother is a young widow and works cleaning a beer shop. She can not care for Prabukumar, and he was left to roam the streets alone all day. He was finally brought to the children's home. 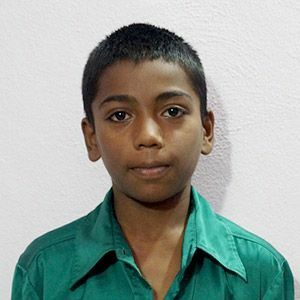 Your sponsorship will ensure that his basic needs are met, and that he receives an education so that he has a bright future.